When we hear the words 'air pollution,' we usually think of smog, auto emissions, factory smoke, etc. Recent research suggests that we may have been looking in the wrong places. Environmental research is disclosing a surprising and disturbing factor in our health - the quality of air in our homes and offices is much more important than was ever suspected. Leading environmental health researchers have discovered that indoor air is often two to five times more polluted than outdoor air, and can be up to 1,000 times more contaminated in extreme cases. Given that many of us spend up to 90% of our time indoors, the health risks associated with indoor air quality far surpass the risks related to outdoor air contamination. This is an issue that concerns us all. The first step is to gain awareness of the risks and common causes of indoor air quality problems. Fortunately, prevention of indoor air quality problems and treatment to remove indoor air contaminants is easy and economical. Your home and office can have clean, safe air. Not surprisingly, many of the recently identified risks associated with poor indoor air quality have accompanied technical advances in our society. There are a number of socio-economic factors that are contributing to our declining indoor air quality in an age where advancements in technology and a greater awareness of personal wellbeing are generally leading to better health and quality of life. Improved building techniques and society's concern for energy efficiency have resulted in major improvements in draft-proofing and air-tight housing. Modern homes and office buildings retain and re-circulate indoor air for longer periods, along with any contaminants that may be present, including dust mites, mold spores, pollen, pet dander, fumes from cleaning chemicals, and smoke. The ratio of 'fresh' outdoor air entering our homes and offices has been greatly reduced, allowing contaminants to accumulate to unsafe levels. At the same time, building materials including synthetic carpets, pressed woods, insulation, petroleum-based glues and adhesives, plastic laminates, and a wide range of other products are being implicated in the off-gassing of volatile organic compounds and other chemicals which in turn have been blamed for health conditions ranging from allergies and chronic respiratory irritation to cancer. The increasing use of these materials as opposed to more 'natural' alternatives, as well as the inability for these chemicals to escape the air-tight building envelope, is leading to a near epidemic increase in chemical sensitivities and allergies. A wide range of potentially debilitating health problems including headaches, chronic fatigue, drowsiness, difficulty concentrating, and even snoring can often be attributed to poor indoor air quality caused by chemical sensitivities and allergies. These potentially harmful substances present in indoor air generally fall into two groups: particles (particulate) and gases. Minute, invisible particles in the air are a primary threat to health. They evade the body's filtering mechanisms and penetrate deep into lung tissue, carrying toxic substances that can be absorbed into the body. They trigger the body's natural defense mechanisms, often provoking an overactive immune response that leads to chronic or acute allergy symptoms. Common harmful particulate contaminants found in our homes and offices include fine dust, dust mites, pet dander, mold spores, and pollen. Some allergic reactions are severe - asthma is the best known and one of the most serious. Other allergic conditions are subtle, chronic conditions. 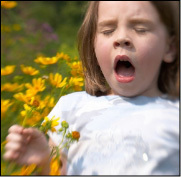 Runny nose, watery eyes, recurring headaches, lethargy, even snoring can all be symptoms of an allergy. Many people endure these conditions, not knowing that they are allergy-related and that prevention is readily available. Gases are as much a risk to our health as airborne particles. Among the greatest concerns to health are the volatile organic compounds, or VOC's. These gases, up to 500 of them, are dispersed from cleaning solutions, carpets, building materials, plastics, and many chemicals commonly used around the home. Formaldehyde is the chief concern among the VOC's, as it is so widely used. Its effects show up normally in itching of the eyes, ears and throat, but it is implicated more seriously as a carcinogen. 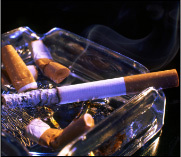 Tobacco smoke, radon, and fumes from fuel combustion (from furnaces, gas stoves, and our cars) also invade our homes and are responsible for indoor air quality problems. Every house or place of business abounds with potential air quality risks. It is important to deal with these risks in an intelligent manner. The first step is to prevent contaminants, where at all possible, from entering the home. Your home environment is unique. Indoor air quality will depend on humidity, the age of your home, the type of heating, the choice of furnishing and insulation materials, the presence of pets or smokers, and so forth. By taking steps to reduce the creation of new contaminants in your home by choosing cleaners and building materials carefully, avoiding smoking in the home, keeping windows closed during high pollen days, etc. is the most important thing you can do to reduce your exposure to harmful indoor air contaminants. Balanced management of your whole home environment is the constructive way to healthy living. Keep aware of the risk factors and avoid them where you can. Using fewer aerosol products, for example, is a positive contribution to the health of your home. Small sure steps are often more effective than a giant leap. Awareness and common sense are your best guides.